Create intriguing extra seating anywhere. 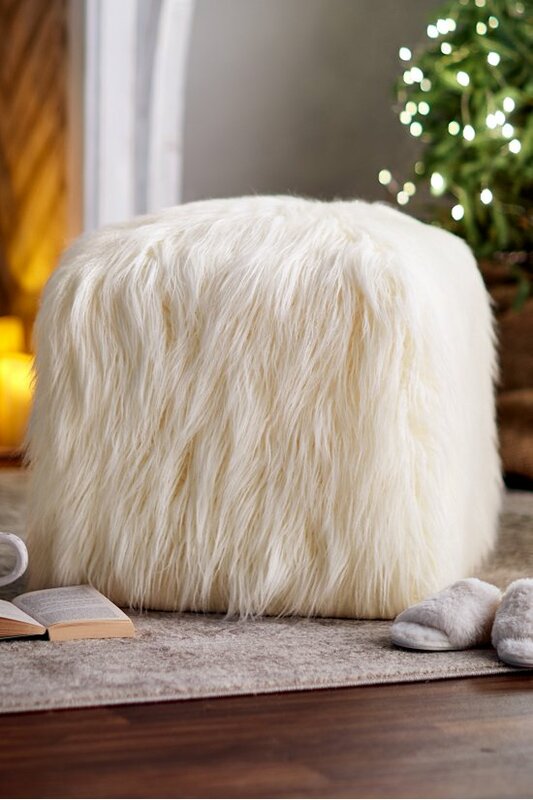 Our furry-yet-sturdy cube "grazes" in style at the foot of your bed, vanity, guest room and more. Faux fur mimics the wool of Tibetan mountain sheep. Washing this version is much easier.